Concerts & Shows / Entertainment / Music Festivals in or near Foreshore, City Bowl in Cape Town, South Africa. The “suidooster” is the iconic wind that sweeps through Cape Town and reminds its residents of the unstoppable power of the elements. So, this is an apt name for the annual Suidoosterfees (sponsored by Die Burger), which is a festival celebrating local modern culture and heritage within a framework of fun, colour and a non-stop vibe. Having been established in 2003, this event continues to grow and evolve and is now a top choice for locals and visitors with a penchant for all things unabashedly South African. It is held at the iconic Artscape Theatre and features the full range of performance types and extras - dance, drama, comedy, music, art exhibition, and historical tours. Celebrity performers like Evita Bezuidenhout (the alter-ego of Pieter Dirk-Uys), Bobby van Jaarsveld, David Kramer, Sandra Prinsloo, the Tygerberg Children’s Choir, and Shaleen Surtie-Richards are all on the cards. The comedians on the programme include Stuart Taylor, Schalk Bezuidenhout, Mel Jones, and Melt Sieberhagen. 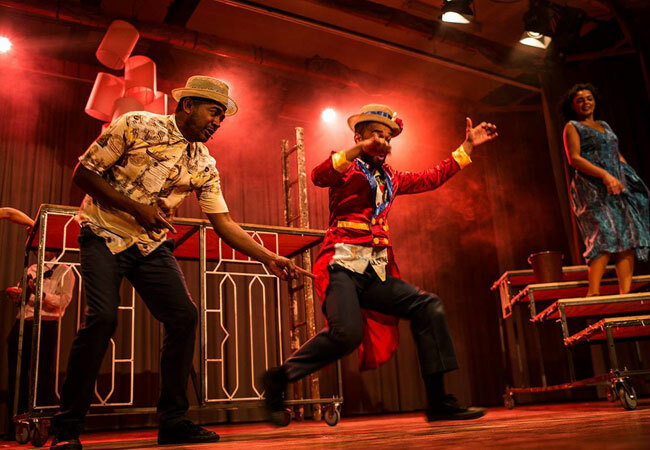 There are also performers that are newer on the South African production scene, who are sure to shake it up and keep visitors well entertained. The Kids’ Theatre is a big hit, as little ones are kept entertained for hours with puppet shows, fairy tales, and more. Tickets for the Suidoosterfees are available via Computicket.